Cardona (cat. Cardona) is a city and municipality in Spain, included in the province of Barcelona as part of the autonomous community of Catalonia. The municipality is part of the Bajes district. It covers an area of 66.70 km². It had a population of 5182 people in 2010. Cardona is located in the valley of Salina. Salina Valley (La Vall Salina) is a place where natural salt layers have formed over several million years. The mountain range has the shape of an elongated ellipse. The massif borders the Cardener River in the east, the Tresserres mountain range (Tresserres) in the south, Gran Bofia (la Bòfia Gran) in the west and the Sierra (the city itself and Cardona Castle) in the north. 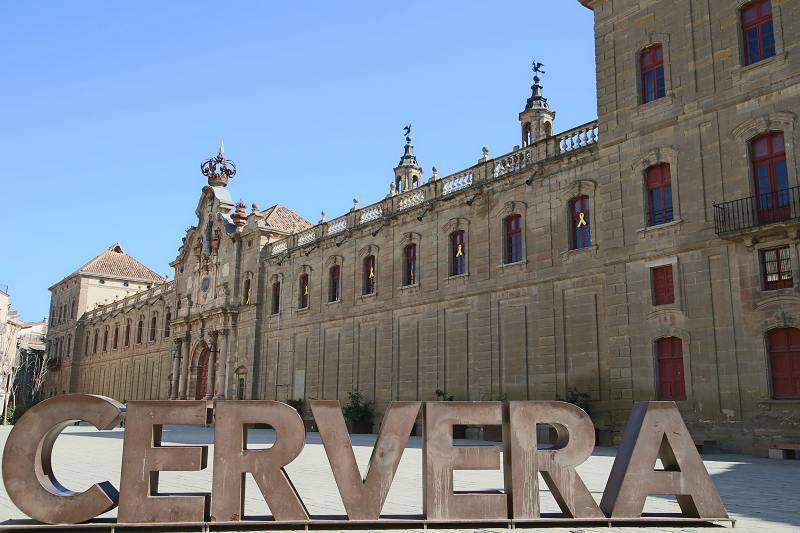 In total, the valley area encompasses 100 hectares. The whole territory is included in the State Plan of Natural Interests of Catalonia (el Pla d’Espais d’Interès Natural de Catalunya). 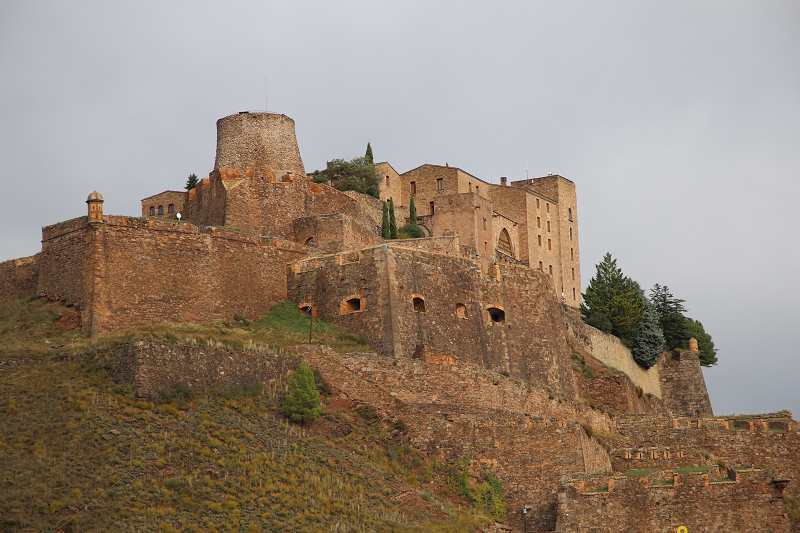 Mining has long been a crucial part of the location of the city and the castle of Cardona. The exploitation of salt deposits and the establishment of the viscountcy Osona (vescomtal d’Osona) in the castle led to the fact that Cardona Castle and the city created a powerful jurisdiction in the Cardenar River region between the 12th and 14th centuries. 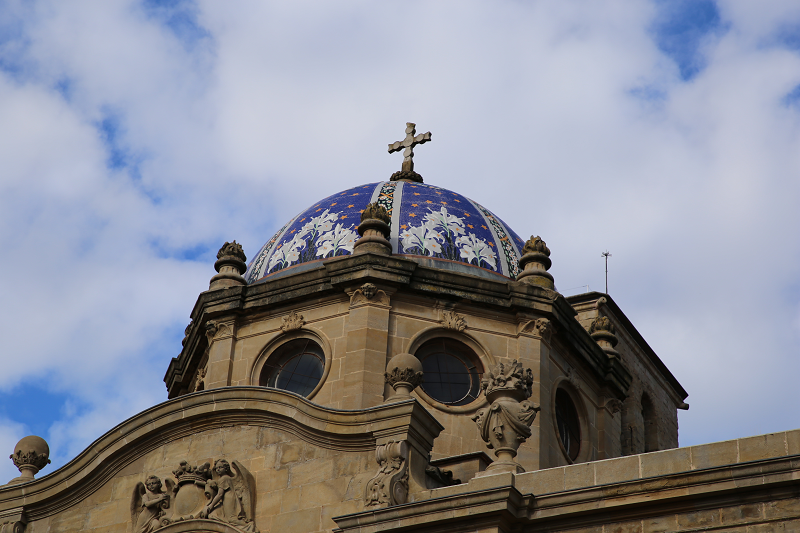 By the 15th century, the power of Cardona extended over a vast territory about 60 km long and about 50 km wide. Read more about the history of the region here. 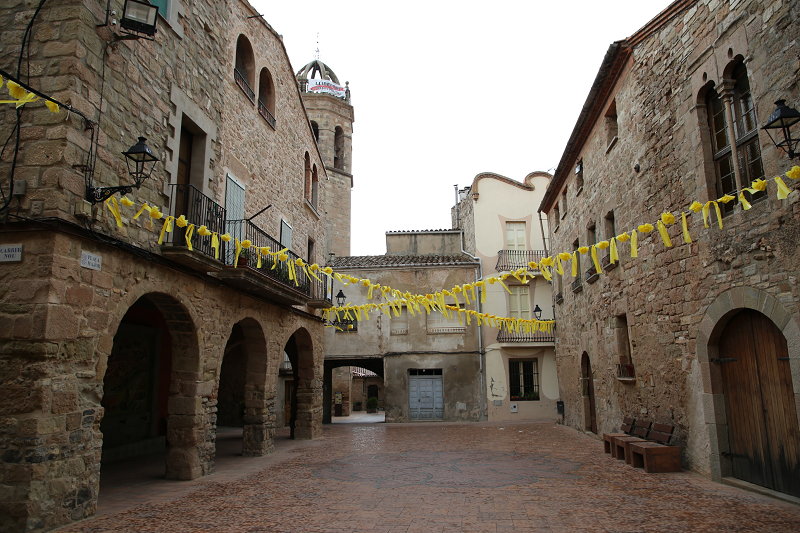 Today Cardona with a population of 5,000 is one of the tourist centers of Catalonia. 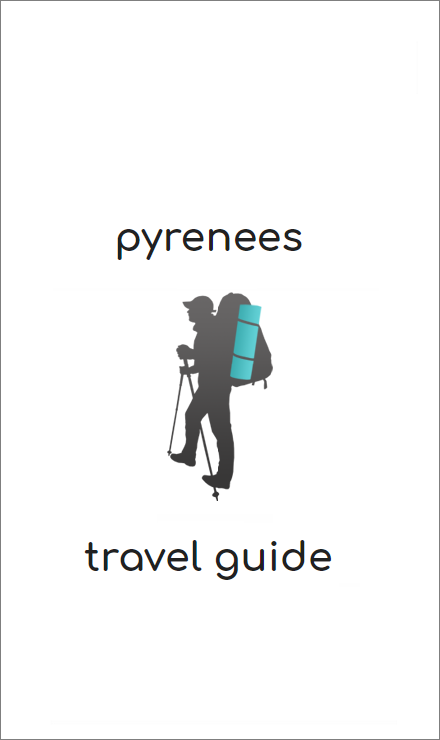 Every year more than half a million tourists visit the city, mainly from Spain and France. 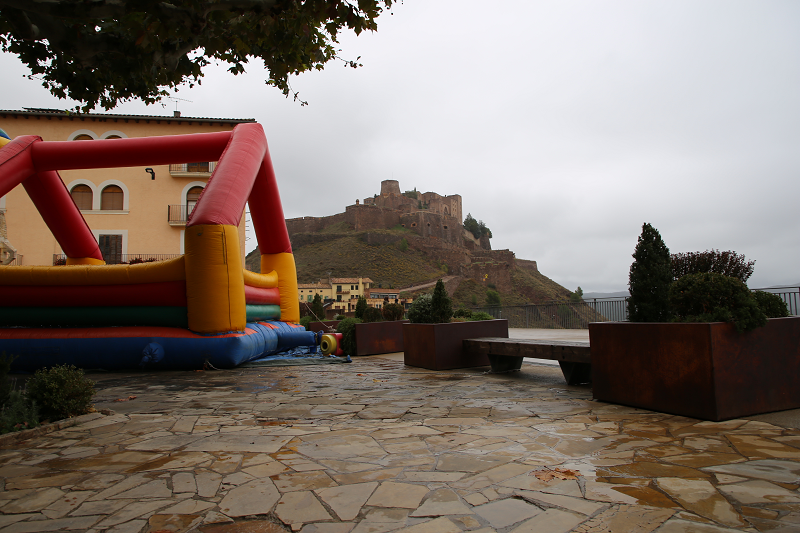 Among the main attractions is the Castle of Cardona (El Castell i la Colo • legiata de Sant Vicenç). 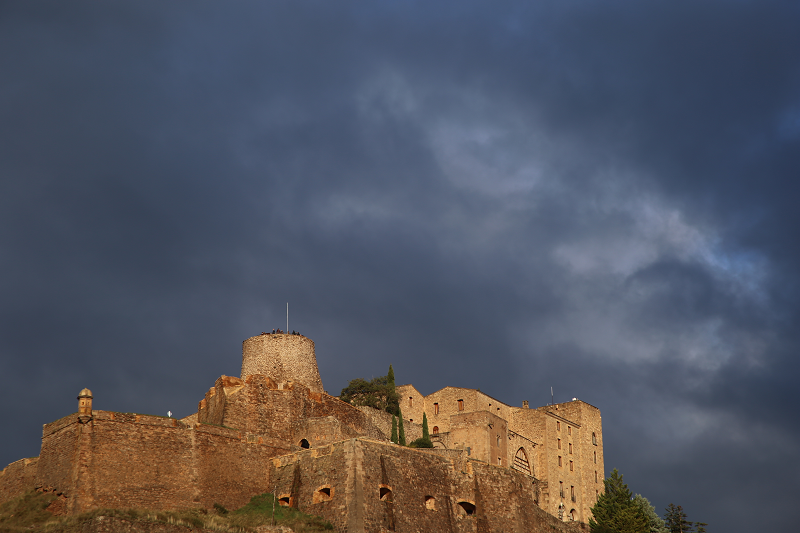 Among the museums of Cardona is the medieval center (Center Cardona Medieval) – another attraction of the city. Located on the Plaza de la Fira (plaça de la Fira), opposite the Cardona Town Hall, this center helps to highlight the city’s history and cultural heritage. The permanent exhibition with extensive graphic and audiovisual accompaniment explains the emergence and evolution of the city, and the construction of the fortress of Cardona, which has defended the city for over five hundred years. 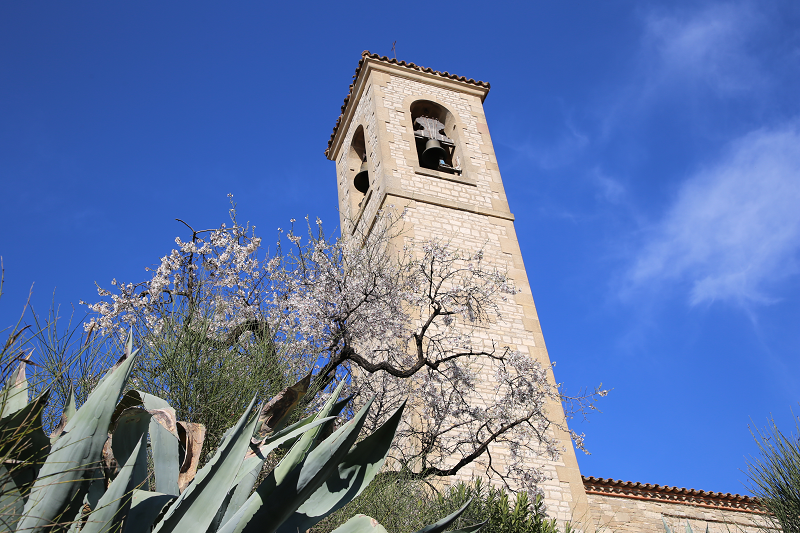 A virtual tour offers a visit through the most significant historical sites, including visiting the parish church of San Miquel with its magnificent Gothic nave. 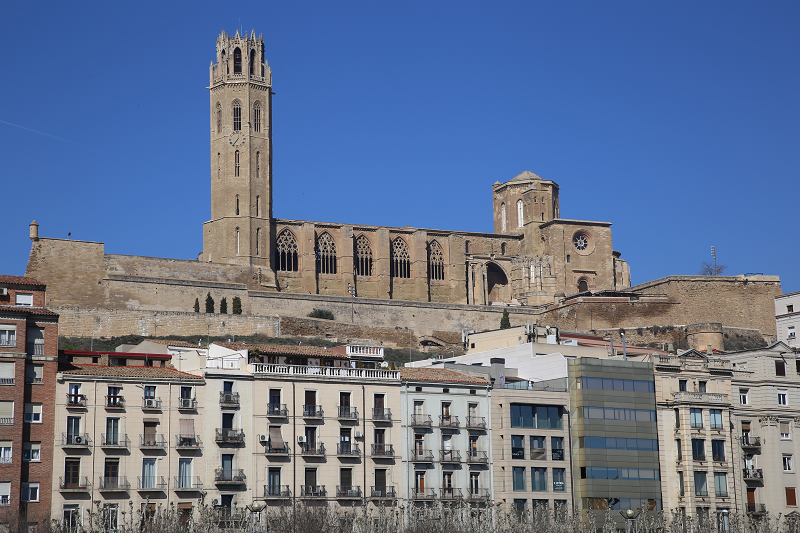 The Church of Sant Miquel is an example of Catalan Gothic architecture. 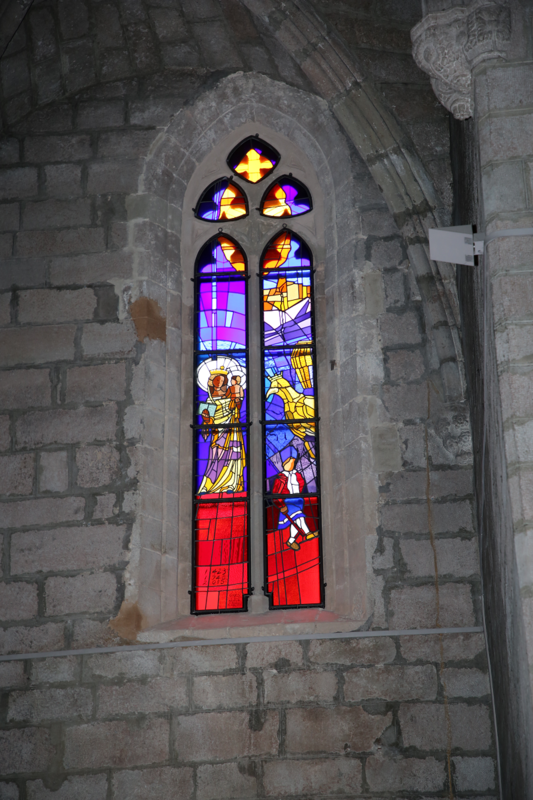 The church was consecrated in 1397. Inside the temple there are two side altars and crypts of holy martyrs. The historical center of the city should be given special attention. 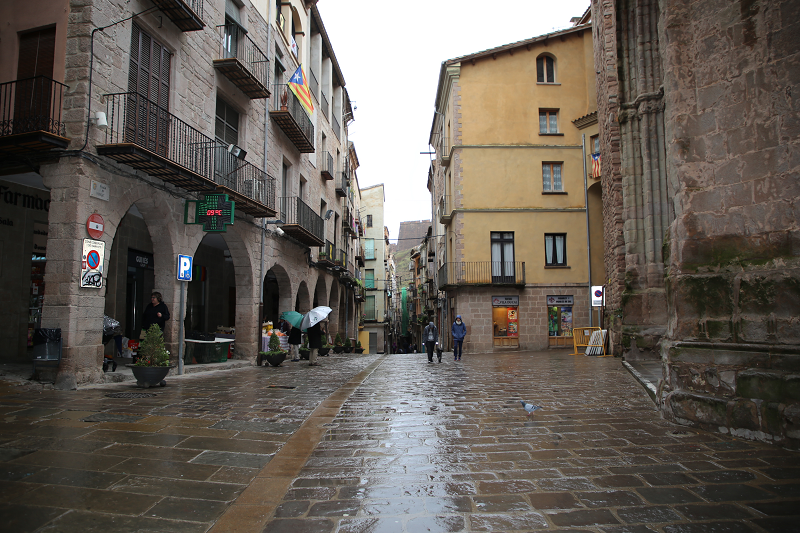 This name usually refers to the town square of Cardona, which corresponds to the old town of the medieval period. For centuries it was the center of commerce at the foot of the castle. It was from there that the main streets began: Fira and Escasany, which led to the square of Santa Eulalia i Mercat. 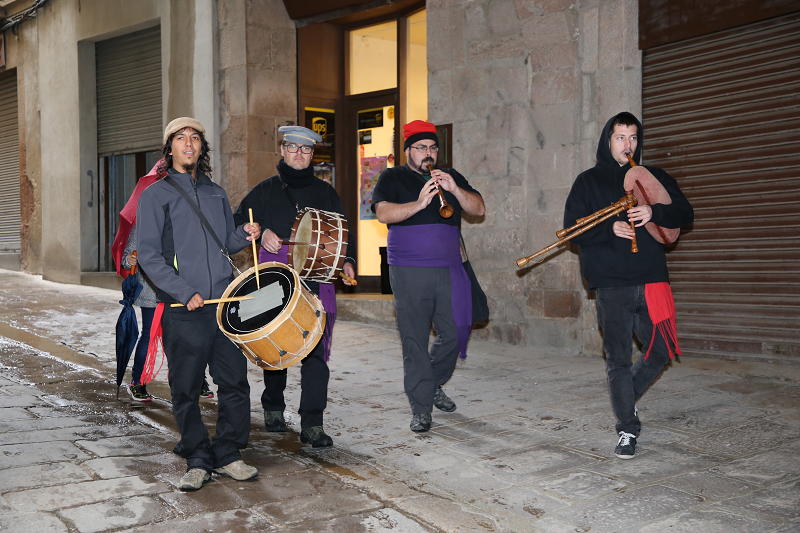 However, in the middle of the thirteenth century, this initial core of the city was transformed into the periphery due to the development of new urban areas like Soldevila, Serra, Capdevila, Fira-Cambra and Graells-Nou-Comabell . The increase in the number of inhabitants was primarily due to the sharp growth of the economy during the reign of Jaume I (1213-1276) and Pere II (1276-1285). According to data, in the middle of the 12th century there were 87 families in the city, and as early as 247, the number grew to 1281 people, that is, an increase of almost more than 250%. Thus, about 400 people who lived in the middle of the 12th century on an area of no more than 2 hectares, by the year 247 settled in almost 12 hectares. From about 1370, the architectural appearance of the city remained virtually unchanged until the first decades of the 20th century, when the discovery of salt and potassium became the basis for the second wave of industrialization of the region and determined its demographic, economic and political development in the late 20th and early 21st centuries. 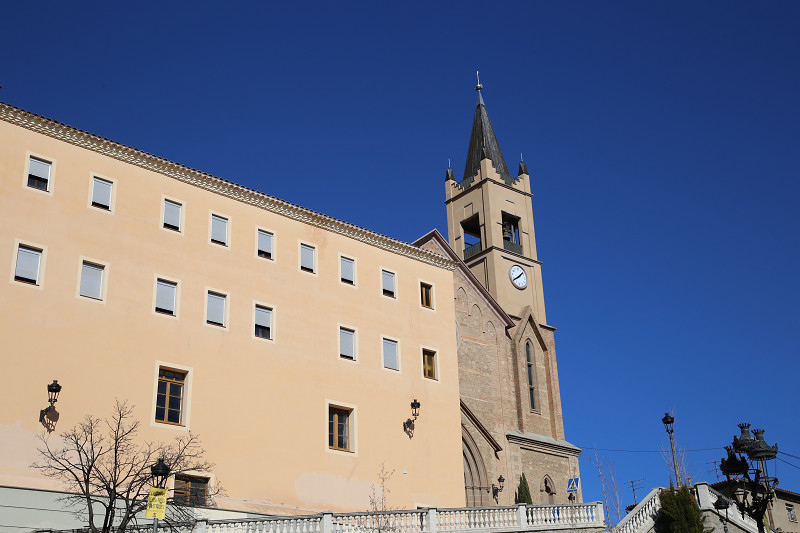 At present, the historical center of Cardona is declared a cultural heritage object in the category “Historical Object” (Interès Cultural en la Categoria de Conjunt Històric) dated February 7, 1992. A kilometer from the city is the entrance to the Salt Cave (Salins de Cardona) – one of the main natural monuments of the Pyrenees. Excursions around the cave last 50 minutes. The temperature inside the cave is from 17 to 20 degrees, regardless of the season. Cave tours are available from Tuesday to Friday: from 10:00 to 15:00. 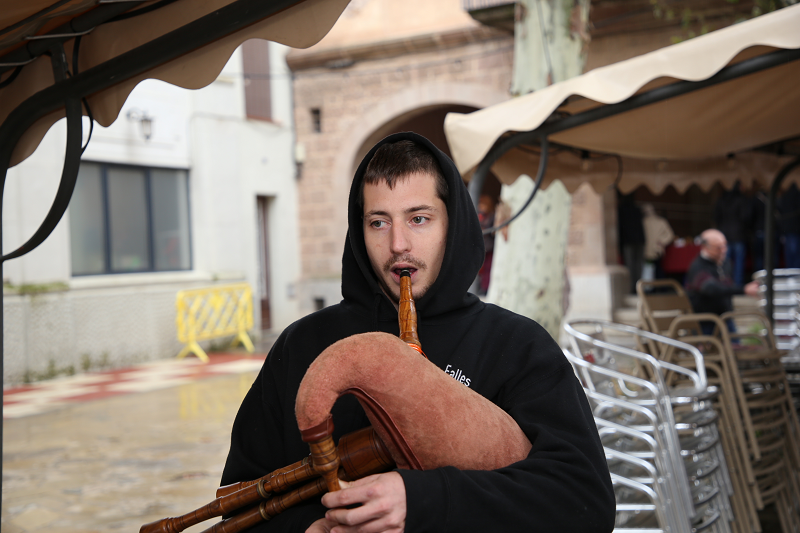 The most famous fair in Cardona today is the Mushroom Fair, which is traditionally held on October 29-30. At the last fair in 2018 (XXVI), more than 700 species of mushrooms growing in the Pyrenees were presented. Throughout the year, Cardona offers opportunities for active tourism – hiking and cycling routes through the picturesque surroundings are especially popular among tourists from Spain and France. 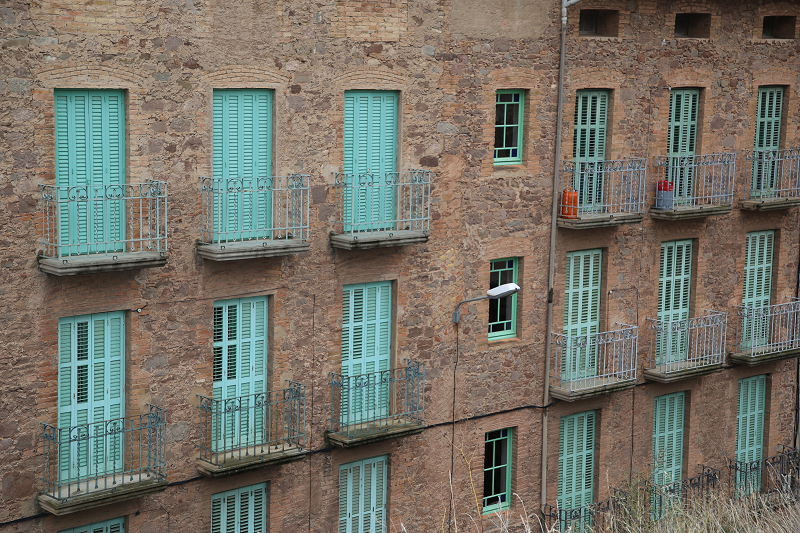 Shopping in Cardona is not a priority on the tourist program. Only on weekends city bazaars and fairs, which traditionally take place on weekends or on some national holidays, can be of interest. At the fairs, in particular, exclusive food grown in the region can be tasted and bought. 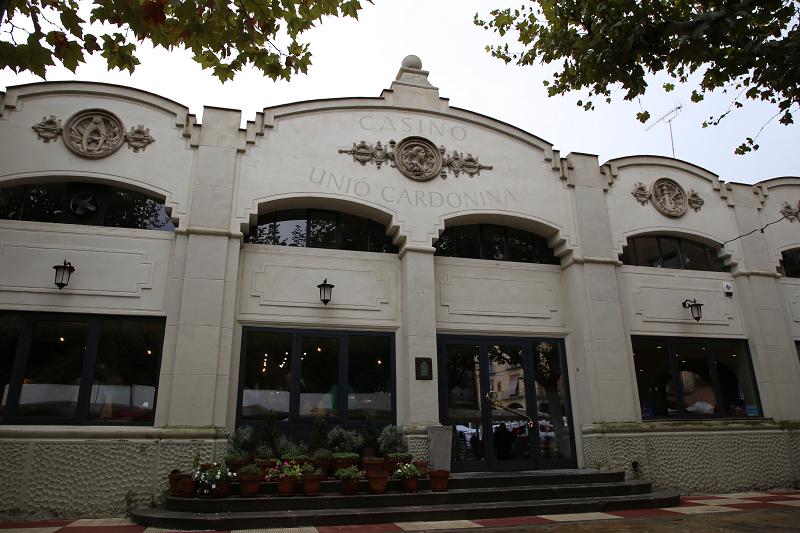 Among them are some famous Spanish wine and cheese brands. In the city there are more than 20 restaurants of a fairly high level. At the same time, quality, prices and service mean the major tourist centers of Catalonia, for example, Barcelona offer something more. 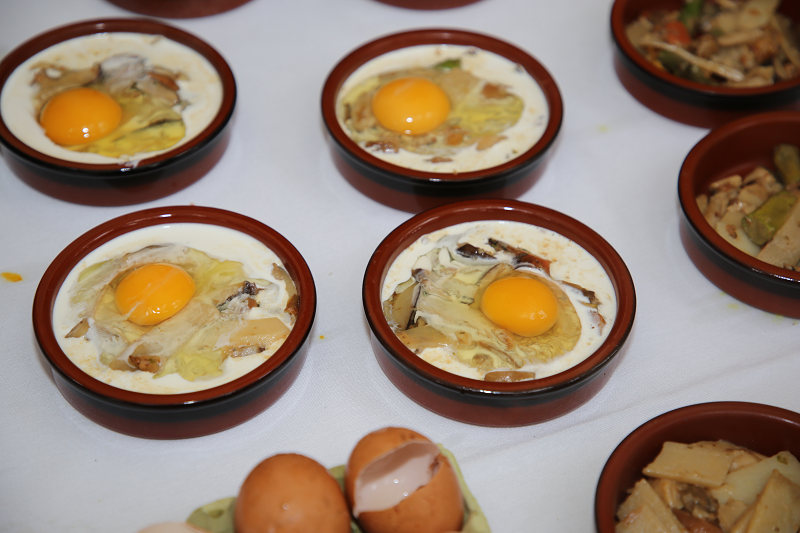 The specialty of the Cardona cuisine is dishes using mushrooms. This is especially true in the fall, when huge harvests of a wide variety of mushrooms take place in neighboring forests. 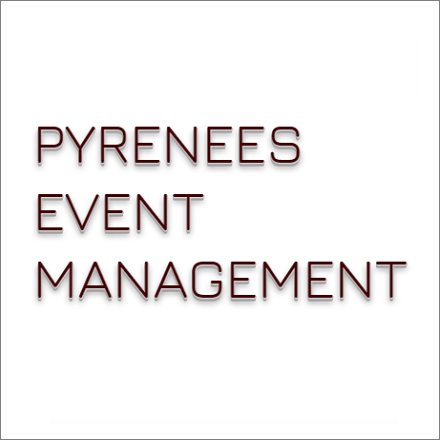 It is not for nothing that the annual fair of mushrooms, which is well-known throughout Spain, takes place in Cardona. How to get to Cardona?